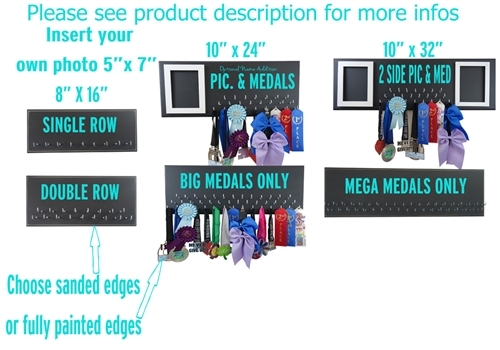 What Is A Swimming Ribbon Holder? 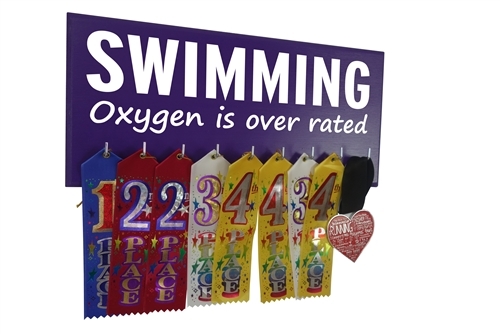 If you are looking for a great gift to get the swimmer in your life or you are someone who swims and wants to get something that will show off the fact that you love the sport, a swimming ribbon holder is a perfect option. What is this and why buy it? Let’s take a closer look. A swimming ribbon holder is a place where you can store your ribbons and keep your room clean. It’s a way of keeping your medals organized and a way of expressing yourself and your love of the sport. Our swimming ribbon holder is made of MDF wood with silver pegs attached that allows you to hang the ribbons on the pegs in whatever organizational manner you prefer. 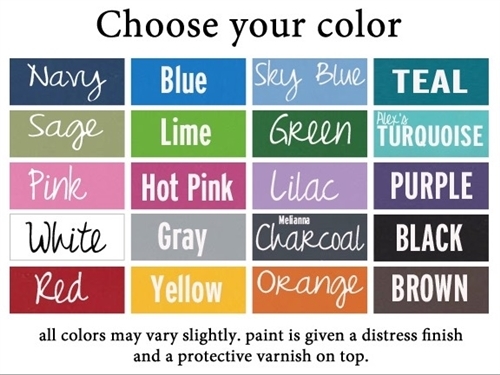 Our awesome swimming ribbon holder will also offer the opportunity to choose a custom color, size and finish along your favorite quote that you love so that you can truly make it your own. Why buy one of these? The answer is simple – it’s a great way to keep your ribbons looking like new. You work hard at the sport and earn those awards whenever you compete so who does not do something that allows you to show them off? By using a swimming ribbon holder, they’ll stay looking like new and each time you see them, you’ll be reminded of all your hard work. 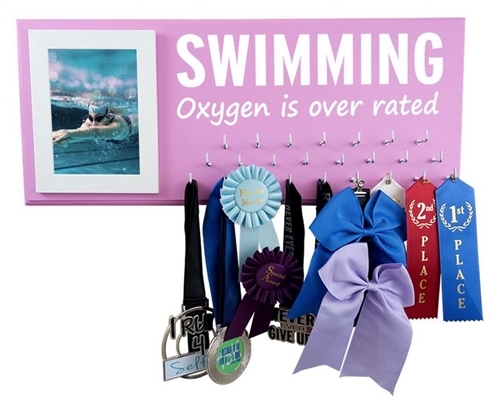 So consider picking up a swimming ribbon holder today. It’s a great investment for anyone who’s serious about the sport.